For many cyclists in Northern Michigan, Lauri Brockmiller is the reason they rise each morning and choose spandex. For just as many cyclists, she is the reason they feel a tremor of trepidation as they pull on the shiny black skin. Because when the first class of the day launches at 5 a.m., there’s no telling what she has planned. To be sure, it will be a challenge. Most riders will finish, a few will bonk, and a handful will have to put together something of a comeback before it’s over. Lauri is the owner of Brockmiller Elite Endurance (BEE), and her cycling classes have a reputation around Traverse City of being tough. Very tough. Crazy tough. Throw-up tough. But the weird thing: everyone who has taken her classes ends up urging their cycling friends to sign up, too. Which is precisely how I found myself in “The Hive” being pushed to the breaking point in Northern Michigan’s most talked-about cycling class. Read the full story, by Kandace Chapple, in the April issue of Traverse, Northern Michigan’s Magazine. Get your copy. Believe it or not, coming up with music for the classes is the absolute hardest part of my job. When I make a list, I use it for one specific ride and I play it for all eight classes doing the ride. Music tastes for 100 athletes ranging in ages from 25 years to 70 years old run the gamut. Country, 60’s, 70’s and 80’s rock, 90’s rap, 80’s Hair Bands, Alternative, Techno, Boy Bands, Heavy Metal, Death Metal. You name the genre, I can give you the name of a BEE athlete who likes it. So, no matter how much time I spend making a list that I think is good to pedal too, there will be some who love it, some who hate it, some who claim not to care and some who won’t even hear it. Still, I can’t help but to try to find new tunes to pedal to and to create lists that help people get through the ride, including me! Most, if not all, of my BEEs know that I am oversensitive to playlist critiques/criticism. Just the other day one of my veteran athletes was giving tips to a new gal in class. He was being helpful and it was sweet. He finished off with, “Oh, and if you don’t like the music, keep it to yourself.” Too funny and probably a good tip. I use iTunes to make all of my lists. People often tell me to use Spotify or this app or that app. But I am sort of locked into using iTunes because I can cut the music. That is really important because a lot of songs have a really slow start, or a dead section in the middle or a repetitive ending or they are just plain too long. Anything over 3–4 minutes gets old really quick when you are working hard. This is a playlist I made for a 4X10 Tempo ride. There’s a 20-minute warm-up section and then we do four sets of 10 minutes moderate to hard with 4 minutes easy pedaling in between. When I make a list like this, I am just looking for music with a good beat to keep people pedaling smooth and quick. I like something upbeat but not too crazy intense. Even though it’s hard work, I tend to save the real intense music for harder workouts. During the November–December block, we have some really, really long interval sets. The Hour of Power calls for 60 minutes of pedaling music. That’s a tough list to make especially when going into it people are saying, “The music better be good, Lauri!” It’s got to be varied enough to please a crowd, hard enough to keep them going strong till the end, but not so hard the whole way through that the jams themselves are enough to wear ‘em down. During this time of the year, I have the slew of BEEs in class cast their vote on the theme for the list for each workout. This year some winning categories were Hair Bands, Rocking Through the Ages and The Ultimate Mix (2 songs from every category nominated). One of the top-five hardest workouts we do is called The Shredder. It lives up to its name and music is key again because the sets are long. Early in the workout is the best time to take chances with music. The worst time is about halfway through the last and usually hardest set of the day. For the warm-up I tried to play some inspiring music, songs we’ve heard a bunch of times, just to set the stage for hard work. The first 20-minute set was fun, upbeat kinda girly music. The second set got a little more intense as we were digging into the meat of the workout. The third set was a blend of hard/dark music and upbeat music to try to make everybody happy while getting their legs shredded off the bone. 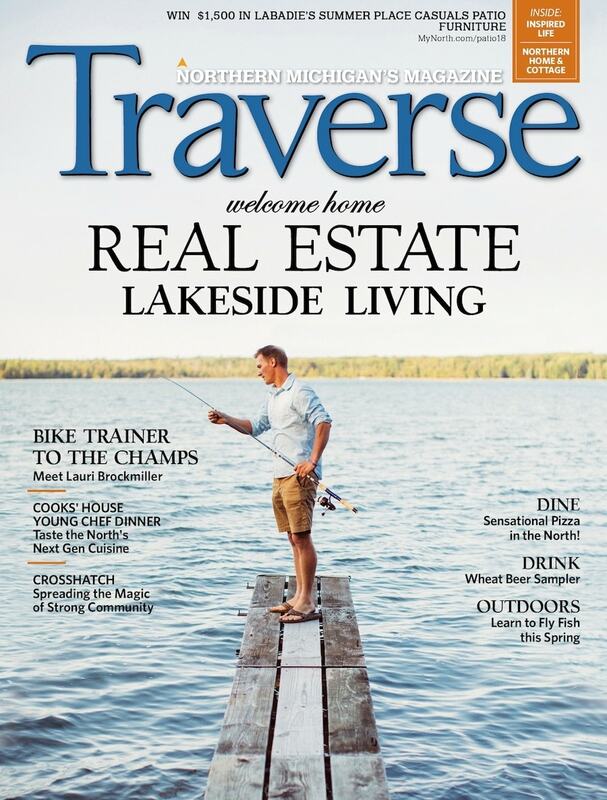 Get your copy of the April issue of Traverse Magazine!